What does Metz look like? 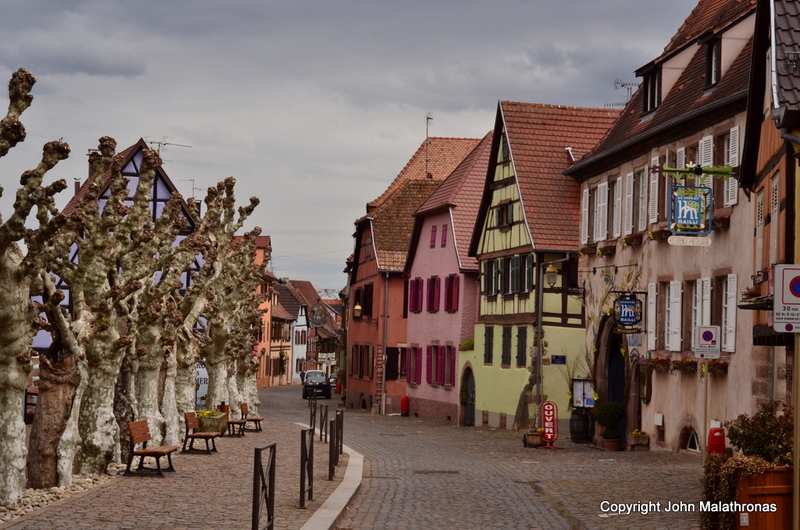 The “Alsace Wine Route” refers to a small but remarkably picturesque B-road that winds its way from Strasbourg to Mulhouse on the eastern slopes of the Vosges passing through a succession of Hansel und Gretel villages (in the case of Dambach-la-ville, through both village gates) and below a succession of wildly picturesque castles. And if you think that I’m joking regards the Brothers Grimm metaphor: the village of Gertwiller calls itself the capital of gingerbread making. 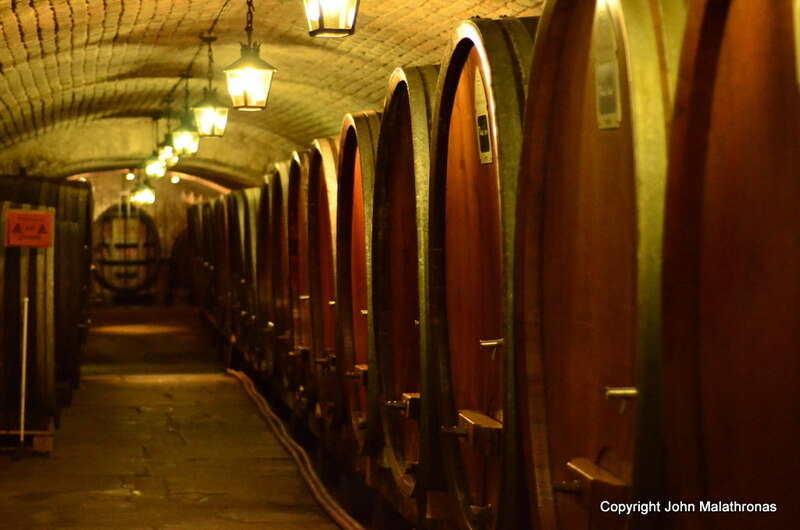 Almost every village has wine tasting cellars and some even boast Michelin-starred restaurants. 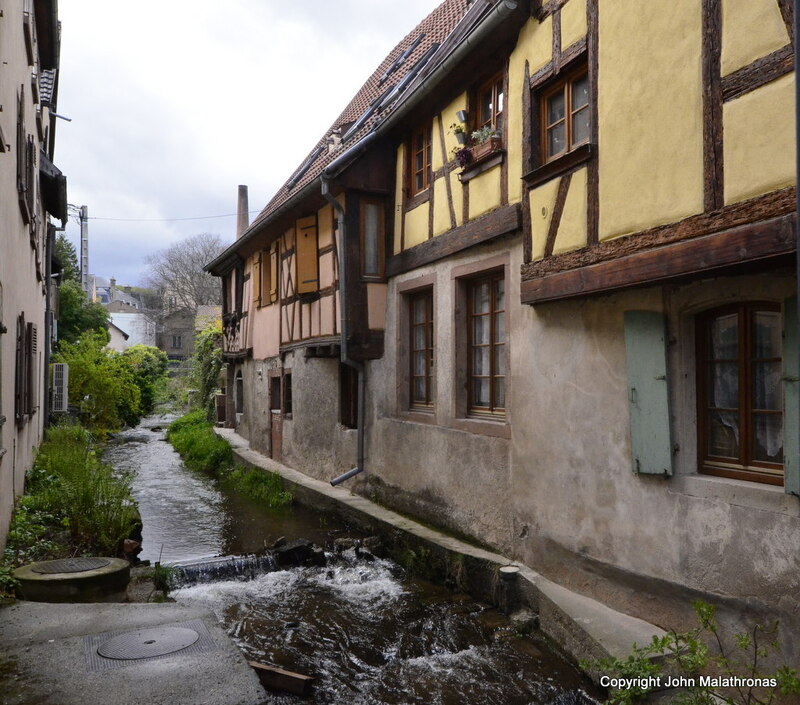 Why Illhaeusern has a three-starred Michelin establishment the Auberge de L’Ill. 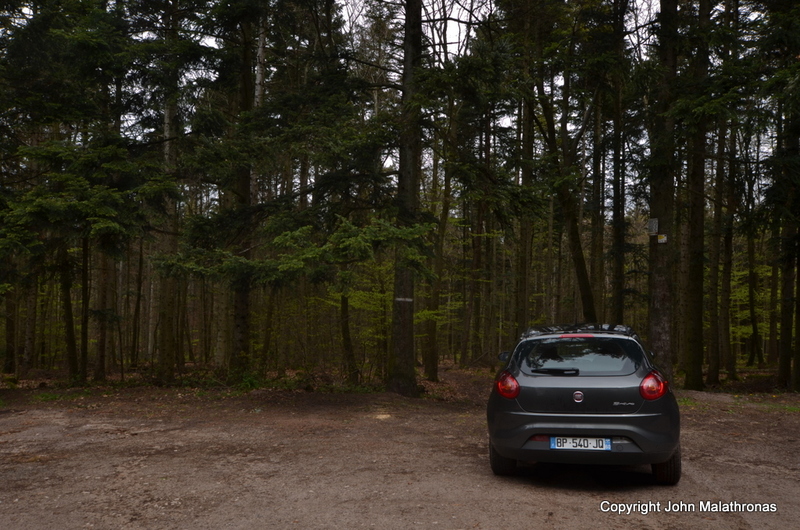 I drove a Fiat Bravo (keep your comments to yourselves, I agree) in three days from Strasbourg to Colmar. 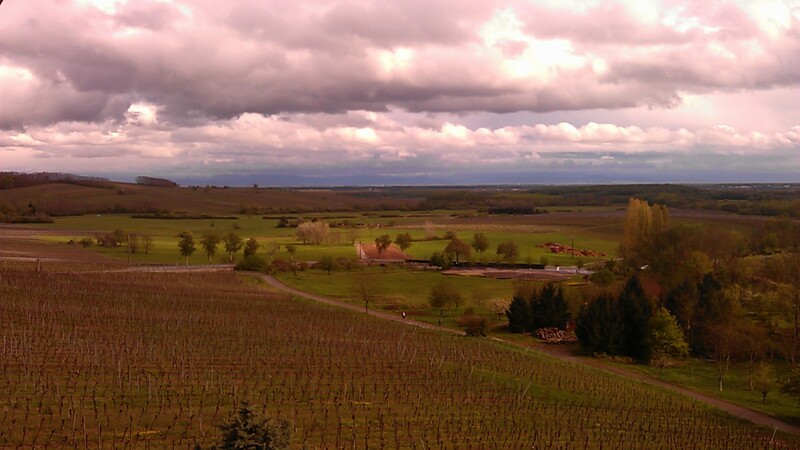 this is the most popular part of thw wine route, and here’s what I did. Strasbourg. Before I started I visited the old cellars of the Strasbourg Hospital (storing wine since 1395) where you can find bargains: bubbly bottles for €6. The local fizz is called Cremant d’Alsace (only neighbouring Champagne has the honour of calling it as such) and frankly it’s champagne without the appellation. 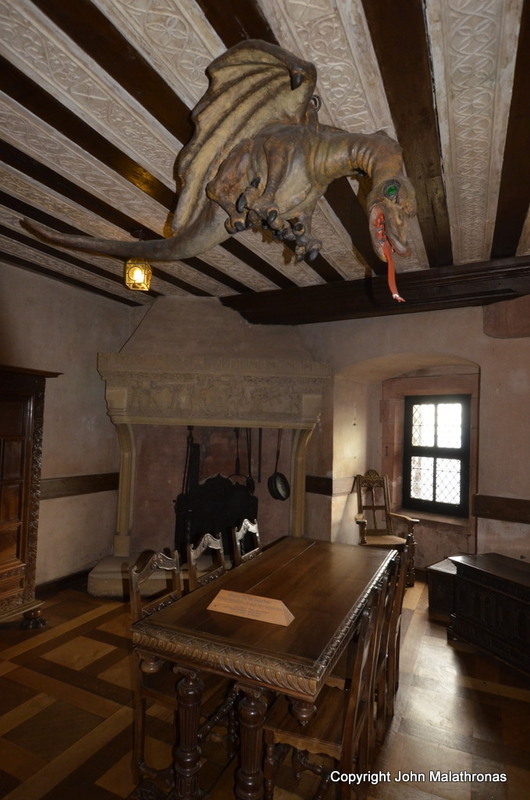 The Cellar at the Strasbourg Hospital – wine was kept for medicinal purposes. 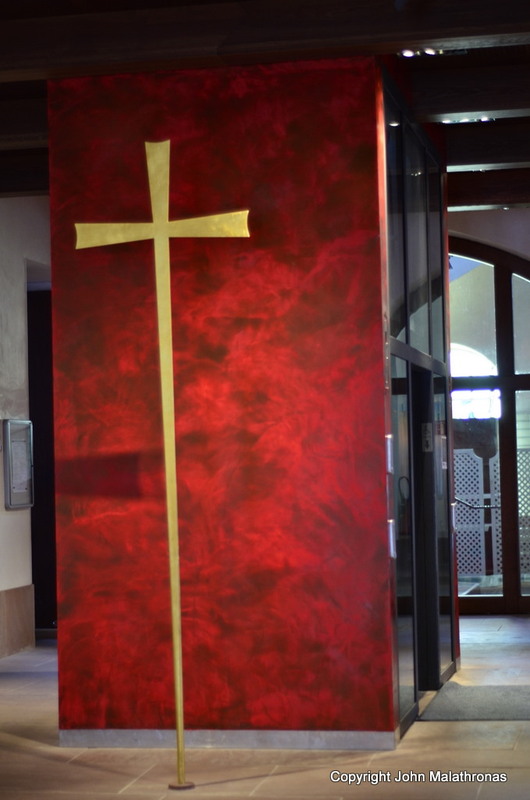 Obernai. 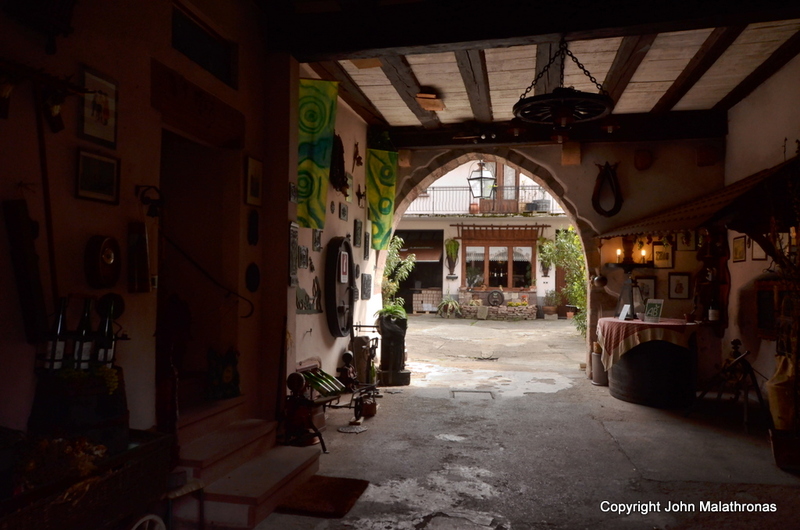 The first place people dash to after Strasbourg is the painfully pretty village of Obernai. 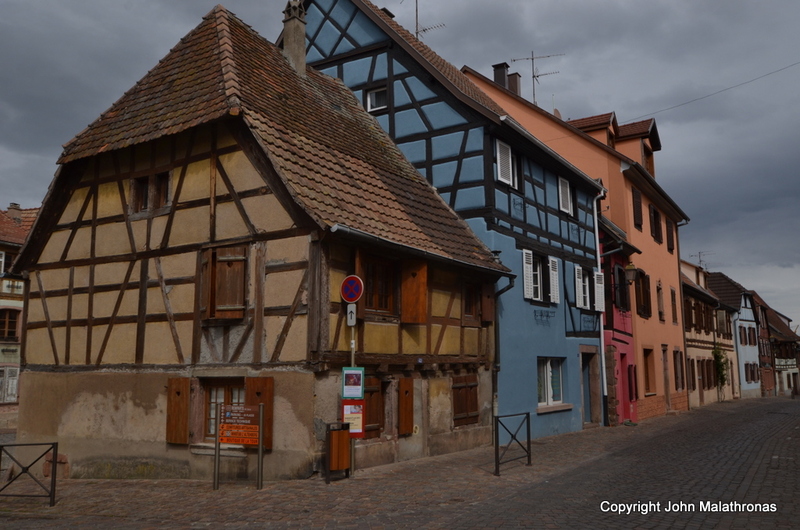 It is worth remembering that in this part of the world, half-timbered houses were treated as furniture, not as a fixed asset. They were dismantled, taken down and moved if the family left a village. Barr. A smaller and less touristy version of Obernai. 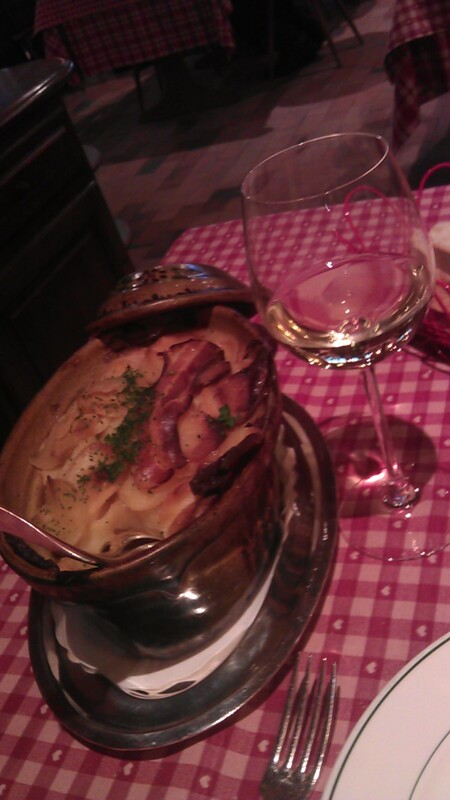 In case you are wondering why: Obernai is as flat as a tarte flambeé whereas Barr is on a steep slope. And the ‘less touristy’ means you can’t eat unless you get hungry between the seemingly God-set hours of noon-2pm and 7-9pm when the French restaurants deign to open. 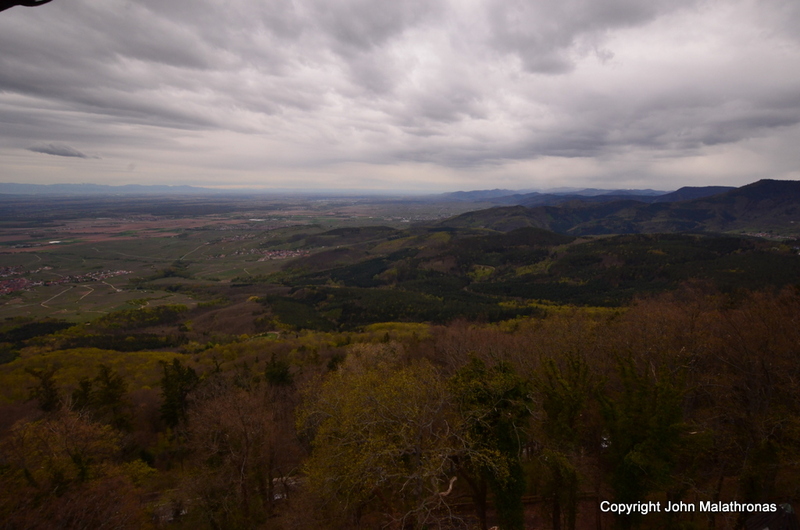 Mont St Odile. 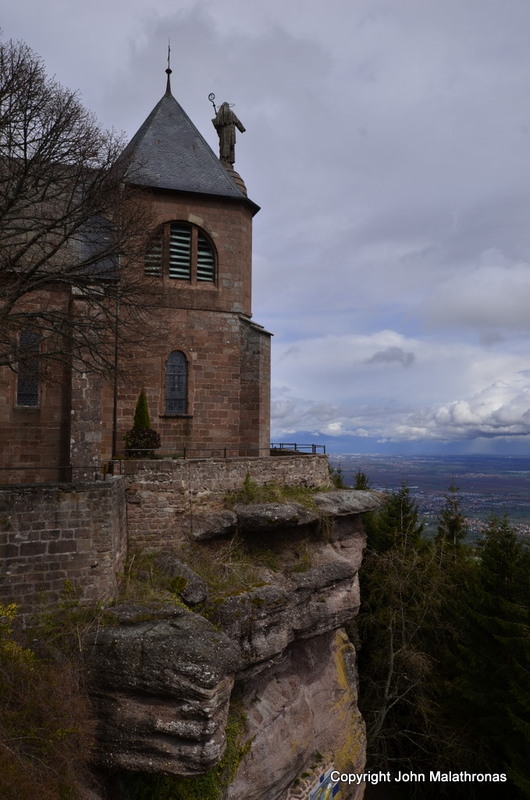 Above Obernai/Barr is the nunnery which was founded around 700 by Sainte Odile, the patron of Alsace. Yes, it has fantastic views over the Lower Rhine valley but typifies the worst in Catholic Religious Tourism. 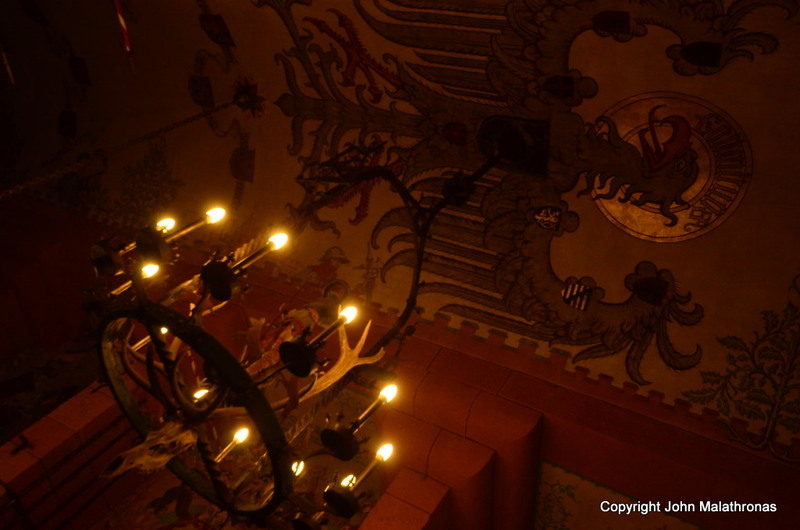 It has two restaurants (a self-service for the ‘pilgrims’ and a higher-class establishment), a hotel and a lift – the only nunnery I have seen with a lift. Itterswiller. That’s where I stayed – at Hotel Arnold which, being on a slope, it has some of the “best views out of my hotel window” I’ve ever experienced. Bergheim. Maybe the prettiest village all-round: small but perfectly formed and so brightly painted it could be the backdrop of a Terry Gilliam film. 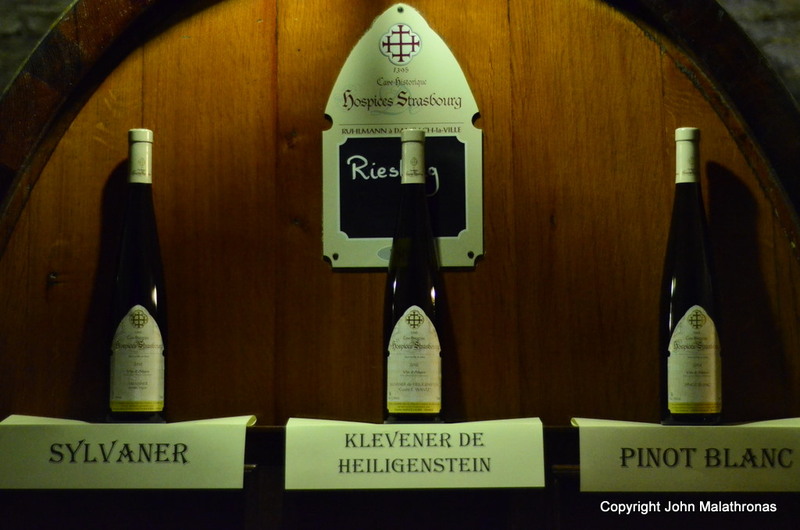 It is the HQ of the Lorentz cellars, one of the best known Grand Crus of Alsace. 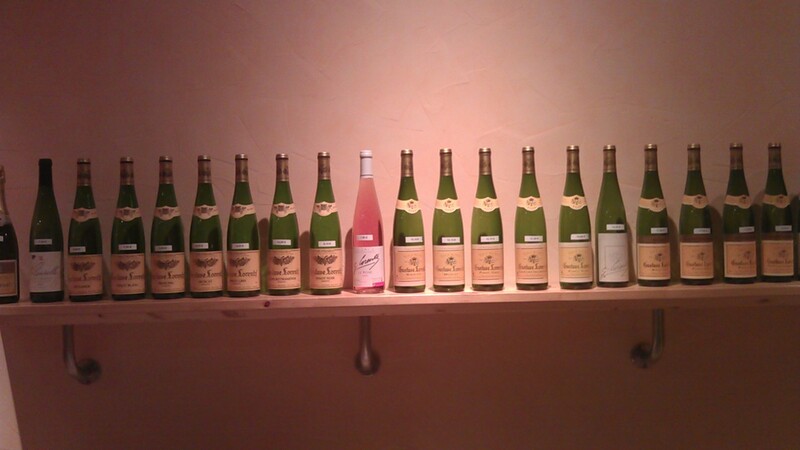 They have a wide range of Riesling, Sylvaner, Pinot Gris, Pinot Blanc, Pinot Noir, Muscat and Gewurtztraminer.It is here I allowed myself a tasting and left with seven bottles. 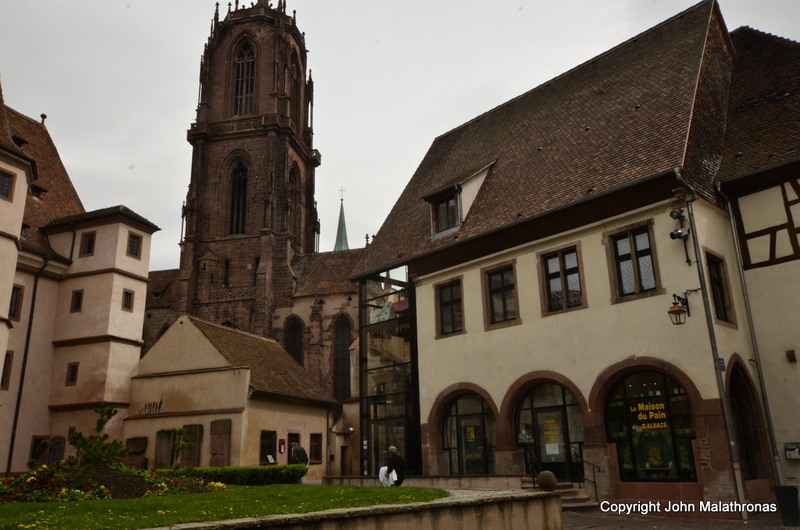 Selestat. 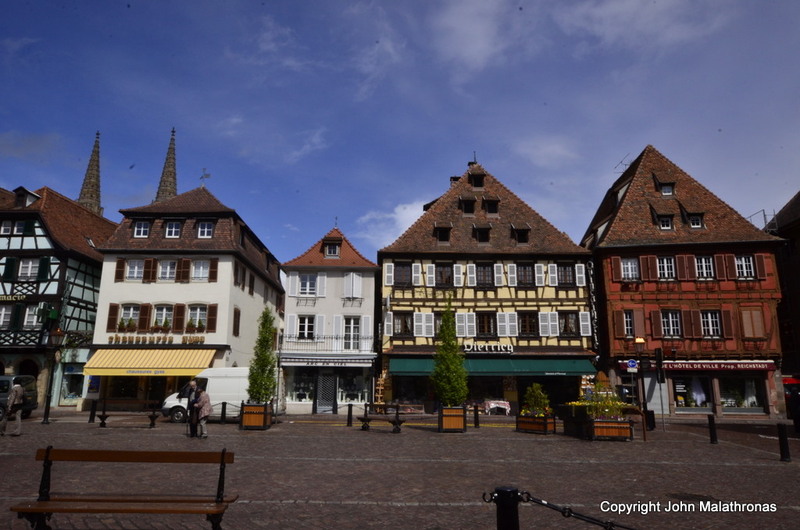 The largest village between Strasbourg and Colmar and a sleepier version of Barr. Nothing was open after 12, not even a bakery to buy a sandwich from. 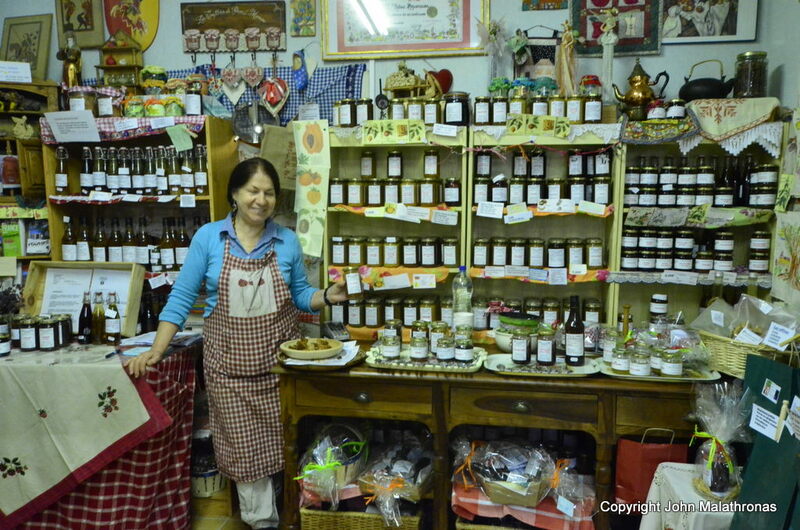 But then again, in France, even when shops are open, they look closed. They don’t want you to enter and upset them. But I jest in the spirit if friendship. I eventually found a cafe that was just about to close and bought myself a baguette. And so off to Colmar which deserves a write-up of its own..
Great article, I am about to visit the region and appreciate the write up. Had a good laugh at your comments on French shops/restaurants and their opening hours, try travelling in France in winter and it gets even worse! You should watch the film “The Family” from a year or two ago, you’ll appreciate it. Thanks. That’s the De Niro film, right? Missed it first time round, will wait until it comes up on TV! 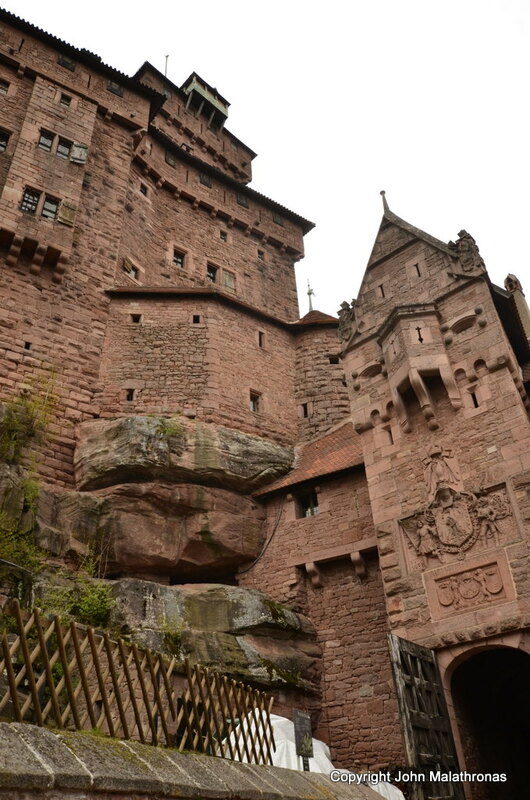 Alsace is incredibly beautiful. You’ll love it. Oh, you are lucky! I envy you..